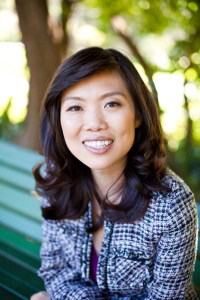 Jeena Cho is a partner at JC Law Group PC, a bankruptcy law firm in San Francisco, CA. In addition to her law practice, she teaches mindfulness and meditation to lawyers. She regularly speaks and writes about wellness, self-care and mindfulness. She also works with lawyers and law firms on stress management, work-life balance, career transition, increasing productivity and overall wellness. She blogs at her law firm blog, and at The Anxious Lawyer,, which is also the title of her soon-to-be-released book published by the ABA. She also writes for Lawyerist and other legal sites on the net, and she offers courses on mindfulness practice for lawyers. But we're here to talk about podcasting. Jeena's's podcast is “The Reslient Lawyer”, which she co-hosts with Birmingham Alabama based attorney Keith Lee. And she also uses podcasting technology to deliver guided meditation sessions… Which is a bit different from most podcasts… We’ll talk about that too. And Jeena treats us to a short guided meditation! NOTE: Some of the above may be affiliate links to products or services for which we receive a commission when you purchase. Thank you!